The bots are taking over. The tech world has been abuzz with news about more companies stepping into the chatbot world, with the most notable being Kik, Microsoft (through Skype) and Facebook (through Messenger). And so far the news has largely been focused on bots changing how we use our smartphones. Chatbots do have the potential to seriously change how we treat our smartphones, eliminating the need for customer service lines and even many apps, potentially giving us a much easier way of getting information and interacting with companies. But the impact on how (and whether) we use wearable tech could be even bigger. These interactions could easily translate to smartwatches, accelerating their adoption as a replacement for smartphones. Chatbots? What are you talking about? Chatbots are essentially text-based automated services that use artificial intelligence to determine what you need and then give it to you. They're most often used for customer support by companies, and have traditionally been accessible through a company's website, giving badly worded answers to simple questions. Over the years, though, artificial intelligence has gotten a lot better, and is now at a point where chatbots are far more helpful. Perhaps more important, though, is the fact that chatbots are now accessible through the likes of Facebook Messenger – you know, that unknown messaging app that is the second most downloaded app ever, second only to the standard Facebook app. Using a chatbot is easy: simply open your messaging app, and ask the appropriate bot for what you need. For example, a CNN chatbot could give you the latest news headlines, or it could give you only the sports headlines. A chatbot for a restaurant could allow you to order and pay for your food instead of opening up a delivery app. Chatbots basically bring functionality into a single messaging app. Plus they're far cheaper for companies to develop than apps, and they don't require users to download anything that might take up space on their device. All good reasons that chatbots could be even more groundbreaking for smartwatches than for smartphones. Can I ditch my smartphone now? 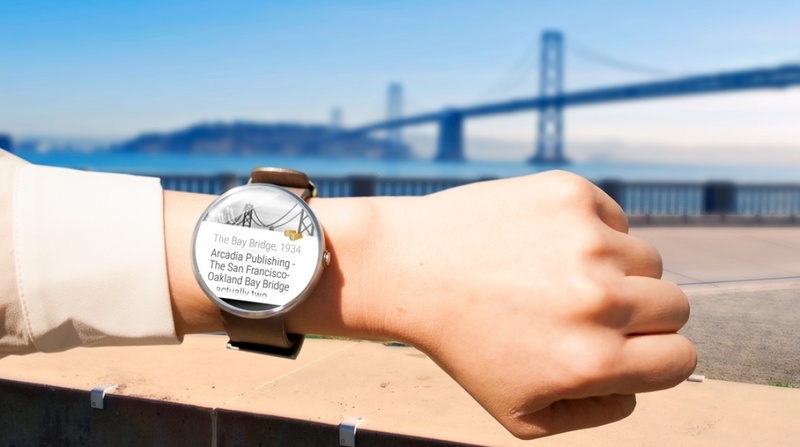 Here's the thing – apps don't work that well on smartwatches yet. Sure, that may be because smartwatches are still in their infancy, but it also has to do with a host of other things – small displays, voice recognition technology needing development, a lack of a fast processor, and so on. Companies are having to trade-off great design for a lower-functioning smartwatch. Build in a ton of storage to store apps, a good amount of RAM and a decent processor to run those apps, and you have a pretty bulky watch. Even if a device had all that stuff and could run great apps, the small display would still limit the functionality of the app unless the company behind it had built in some stellar voice recognition. Bots eliminate the need for this approach. In theory, all your device needs to do is run one app – Facebook Messenger. Put in a basic amount of storage, a processor just fast enough to process images and text, and 1GB of RAM, and you've got a device that can not only be slim, but can also do everything you need it to, through bots. The reason bots are so much better than apps for many things is this: bots require way less power than apps on individual devices. No videos to load, interfaces to learn, or accounts to create. Everything is handled by a bot hosted on a company's server, and all your device needs to do is send it a text-based message. "Bots should make wearables smarter and better. Right now wearables have a usability problem, you need to use both the hardware and the software," said Adam Lawrence, founder of BotPages, the self-proclaimed largest bot directory on the web. "What if you could eliminate the software component and integrate the hardware with a bot? You could get a simple message that you've hit your workout goal or that you need to take a few extra steps. No more app fatigue." Using a bot on your smartwatch, coupled with some basic voice recognition, you could simply ask Messenger to message the 1-800 FLOWERS chatbot to send a bouquet of roses to your sweetie on Valentine's Day. Or, you could take things to the next level and tell a restaurant-booking bot to get you a reservation at that fancy restaurant downtown where you can pop the question. Not only that but the next wave of smartwatches will also have a data connection. Many already do. With a constant connection to the internet on your wrist, why would you need a smartphone when your watch can do everything your phone could do before? "Just like we had the app revolution as smartphones became the predominant hardware of choice, we'll have a bot revolution that helps to power wearables and other forms of advanced computing," Lawrence told Wareable. Bots have the potential to go far beyond smartwatches when it comes to wearables. As virtual reality and augmented reality become commonplace, it wouldn't be surprising to see intelligent bots bring many services to your AR glasses and hence the world around you. "Early examples include the Monocle feature in Yelp, but you could easily see this being a bot that uses your Mixed Reality device to show you all the places nearby that you would enjoy for a post work drink," continued Lawrence. The issue of device size is similar when it comes to AR and VR. No one wants to be talking down the street with an Oculus-sized device latched onto their face. If they want an AR device at all, they want it to be in the form of a normal-looking pair of glasses that has the smarts built-in. Bots could enable that, allowing for a device to be built that has just enough power to handle sending and receiving text, along with the ability to turn the data it gets back into something you can perceive with your eyes as you walk around. I can't wait until 2025 for smartwatch bots! Hold up. If bots truly do take off, as many are expecting they will, it will be sooner rather than later, and they'll be as accessible to your smartwatch as messaging your friends. Your smartwatch doesn't know it's messaging a bot – it's handled just like another contact. Before chatbots can change how we interact with wearables, companies need to recognise how important chatbots could be for their services, and develop them for platforms like Facebook Messenger. Facebook seems to be doing a great job at highlighting the importance of bots, but it's now up to developers to start building. Facebook itself needs to ensure that bots can seamlessly interact with versions of Messenger for platforms like Android Wear and the Apple Watch too.